St. Patrick: At least I think it's St. Patrick. 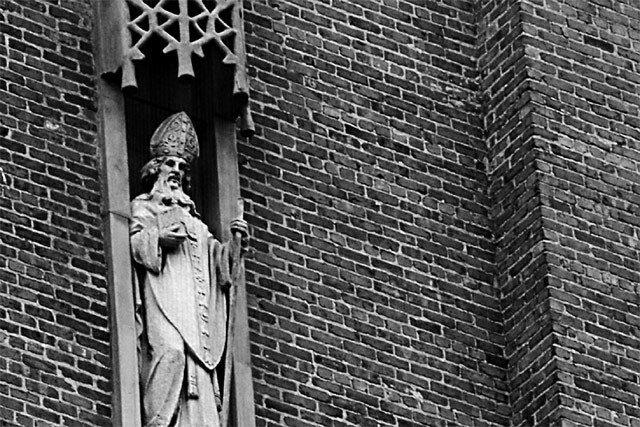 A statue high up on the wall of St. Patrick's Church in San Francisco, CA. Woohoo, this is post #200!